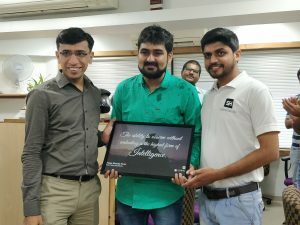 It was a vibrant month at SalesHandy. 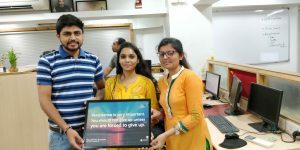 In this month SalesHandy Family moved to a new office. 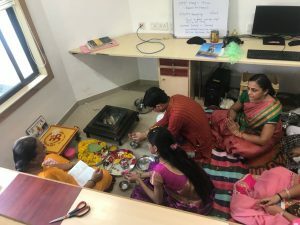 We inaugurated it with a Gayatri Pooja ceremony. Additionally, we celebrated special days of six of our team members. 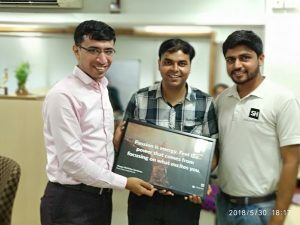 We celebrated work anniversary of Sapna Patel (Quality Assurance Engineer) and the birthdays of Umang Chotai (Sales& Customers success Executive), Shreyanshi Kansara(HR Executive), Ankit Koshti (Software Engineer), Parth Nayak (Software Engineer) and Sandeep Chikhale (Sr. Frontend Engineer). 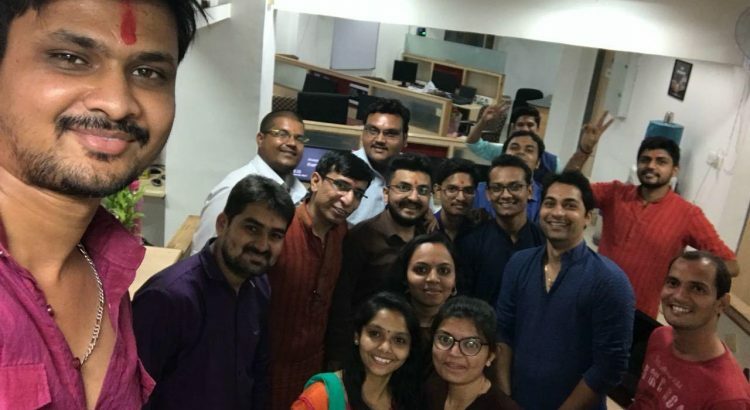 Our previous office served us well, and we achieved great milestones and crafted beautiful memories there, but as we are growing at a rapid pace and increasing the size of our team, we had to find a new home, and it couldn’t have been better than this! 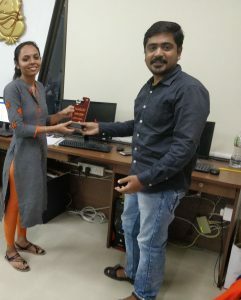 Sapna completed her one year with team SalesHandy on May 1st, 2018. She brings excellent technical skills, and passion to this organization. We congratulate her once again on completing another successful year in her career. 2nd May 2018 was a fun-filled day as we celebrate the birthday of Umang with a Cake cutting ceremony! He is great with his work and ensures that our customers do not face any inconvenience and get most out of the tool. We wish him growth and prosperity in all life aspects! 8th May 2018 was an awesome day as we celebrate the birthday of Shreyanshi with a Cake cutting ceremony and then enjoyed a Sandwich party from her side! She is passionate about her work and ensures that we hire and retain the best talent in our team. We wish her growth and prosperity in all life aspects! 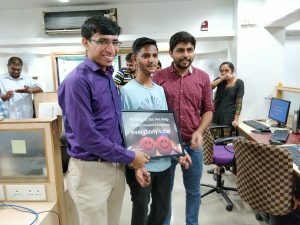 15th May 2018 was an amazing day as we celebrate the birthday of Ankit with a Cake cutting ceremony and then enjoyed a Pizza party from his side! He is a quick learner and is dedicated to making a difference. We wish him growth and prosperity in all life aspects! 23rd May 2018 was a joyous day as we celebrate the birthday of Parth with a Cake cutting ceremony and then enjoyed a Vadapav party from his side! He is a sharp, smart, and enthusiastic person who is always hungry to learn more. We wish him growth and prosperity in all life aspects! 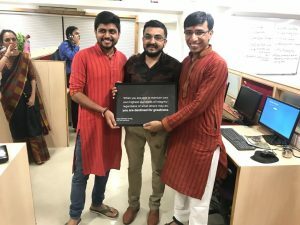 30th May 2018 was a joyful day as we celebrated the birthday of Sandeep. He is a focused individual and a master of his trait. He is also very down to earth and believes in living a non-materialistic life because of which he didn’t prefer on having cake cutting ceremony, and we respected his choice.